MANILA -- Chairman Francis Tolentino of the Metropolitan Manila Development Authority (MMDA) on Tuesday is optimistic that the Supreme Court (SC) will decide in favor of the government’s public service mandate following the petition of Albay Governor Joey Salceda before the high court to issue a temporary restraining order (TRO) against the provincial bus ban in Epifanio Delos Santos Avenue (EDSA). The MMDA and the local government of Muntinlupa already started the operations of the South Interim Provincial Terminal (SIPT) in Alabang, Muntinlupa City catering at least 236 provincial utility buses (PUBs) from Lemery, Batangas and Legazpi, Albay. The establishment of the SIPT prevented colorum and out-of-line PUBs from traversing EDSA. Tolentino issued the statement in response to the petition filed by Albay Governor Joey Salceda asking the High Court to issue a temporary restraining order (TRO) against the provincial bus ban at EDSA. Tolentino said he looks forward to the Office of the Solicitor General‘s reply to Salceda’s petition would center on Executive Order 202 centering on the Public Service Act and other legal statutes that national government projects are not TRO-able, even as he stressed that he welcomes the governor’s petition because he said this would broaden jurisprudence concerning the real definition of what public convenience is. 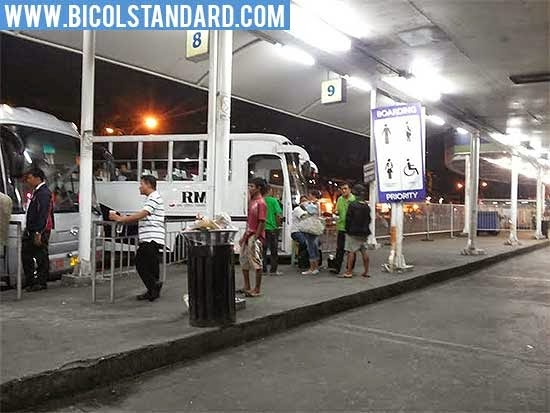 Tolentino did not discount the possibility of Salceda having been misinformed on the real issues surrounding the ban on the entry of passenger of buses from the Bicol region into Metro Manila and restricting them to a common terminal in Muntunlupa City citing that the provincial buses being stopped are colorum and out-of-line vehicles. “I think the facts will sustain us because these buses are colorums, out-of-line, so what happened is that every time they traverse EDSA, or enter Magallanes, or Buendia, or EDSA-Pasay-Taft, they are apprehended. What happens is that the riders will be asked to disembark the bus because the bus will be impounded,” he said. “I think everybody knows that we in government are doing everything possible to solve the traffic congestion problem along EDSA and other major thoroughfares because this has become a social malaise affecting the lives of our people and the efficient delivery of goods in the country,” Tolentino added. The MMDA chief further explained that what the Land Transportation Franchising and Regulatory Board (LTFRB) did is to rationalize the bus franchises and decided that the best end point would be in Alabang instead of the impounding areas because they are colorum. Tolentino also pointed out that legitimate buses will not be stopped under the scheme.